The UK-based company has given CES-goers a glimpse into the future by unveiling its fancy new piece of video eyeware. Named the DK-32, the glasses project an impressive 720p image, allowing users to view videos and pictures while not obscuring visibility. The device works by redirecting the projection to the eye, overlaying a video image over reality, and offering endless possibilities for the use of augmented reality. Lumus also modelled a monocular version of the device - the PD-18-04 – which offers the same feature in just one eye. While the full benefits of such a device are a little unclear, we have to admit this is pretty cool, and can see those tiresome communities made easier with the ability to watch YouTube videos on the go. 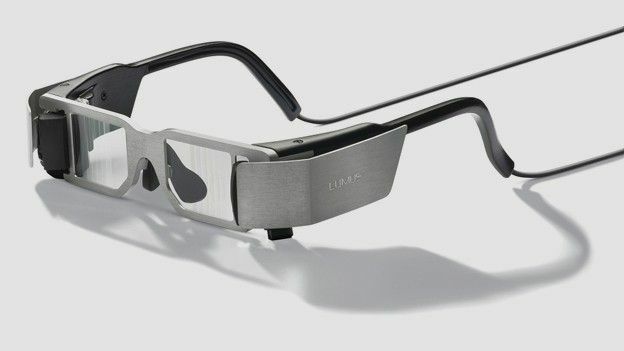 Lumus isn't planning to sell these glasses as standalone products any time soon, however the company hopes the technology will be on the market in the next two years. Impressed by Lumus's video specs? Concerned that yesterday's sci-fi movies are becoming today's reality? Let us know below.